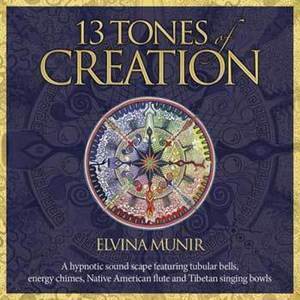 A hypnotic sound scape featuring tubular bells, energy chimes, Native American flute, and Tibetan singing bowls. Tuned to the Pythagorean frequency of A 432 Hz, the 13 Tones of Creation are in perfect resonance with the human body, the Earth, and the vibration of the Universe. Every tone of the 13 Tones of Creation is imbued with information from the open heart frequency of 8 Hz, also the frequency of the relaxed alpha brainwave state and the Earth's electromagnetic frequency known as the Schumann Wave.